Christopher Chung is Managing Director (Asia) and member of the divisional hospitality board for the Lewis Trust Group, a private family office, with USD 2.0B of global real estate investments including twenty-one hotels comprised of 4,000 keys and six hotel development projects. He is currently based in Bangkok, Thailand. Christopher started his career in New York City with Lehman Brothers in the Commercial Real Estate Finance Group and then transferred to the firm’s Southeast Asia headquarters in Bangkok where he served as the head of The Principal Transactions Group. Under his leadership, Lehman Brothers invested over US$ 1.0 billion in direct commercial real estate in Southeast Asia. 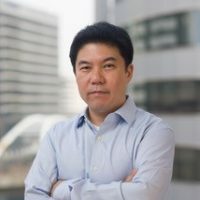 Following Lehman’s closure, he served as Senior Vice President for Nomura Securities. He holds a B.B.A. in Accounting and a J.D. in Law from the University of Hawai’i at Manoa, and visited at NYU’s Real Estate Institute in New York City. Acquisition round table: Buying hotels/companies - due diligence or warranties, which matter more?